You’ve probably done our quizzes on personality types and figured out what yours is. If you haven’t, go on and take this quiz first! Do you know which famous person shares the same personality type as you? If you fall under one of the personality types in the Protectors category, you may be an overseer like Judge Judy, a supporter like Hugh Jackman, an examiner like Natalie Portman, or a defender like Mother Teresa. If you have one of the Creators personality types, you could be like an entertainer like Angelina Jolie or Leonardo DiCaprio, a craftsman like Steve Jobs, or just like Rihanna – an artist. In this quiz, we’ll go one step further to find out which famous person matches your personality! Instead of just depending on your earlier personality type, we’ll ask you multiple questions that analyze who you really are. Based on that, you’ll find out who you’re most like! I'm proud of something else! What do you think is your biggest flaw? Outside of work, which of these do you devote most of your time to? Which famous cartoon character do you to relate to the most? I don't relate to them! Which of these designer dresses would you wear on a red carpet? I wouldn't move to any of these places! Which of these houses would you want to live in? Which obscure location would you like to visit? I want to be something else! What kind of business would you invest in? I'm not investing in these! Which single item can you not live without? I can manage without these! What interesting pet would you like to adopt? I just want normal pets! Finally, what would be the title of your autobiography? It would be something else! 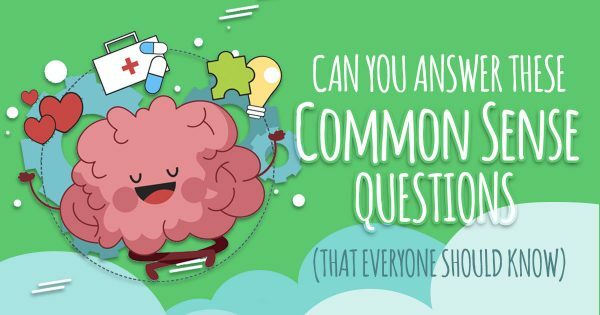 Can You Answer These Common Sense Questions That Everyone Should Know?